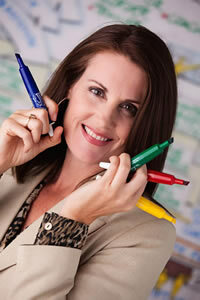 Article: Tips to Accelerate Your Biz and Life, Now! I've made a nice segue into fall these last weeks --- did some graphic facilitation work with a previous client. They had done a fantastic job five years ago with a graphic vision statement for their internal staff development unit within a progressive school district --- and were ready to revisit it and discuss succession issues due to a beloved leader's eventual retirement. We had a GREAT two-day retreat – with lots of personal visioning and planning too (a favorite of mine of course!). Really great to be back with them --- so dedicated to public education and leveling the playing field for all learners. The weekend following, after a lot of sleep (group facilitation takes it out of this introvert!) 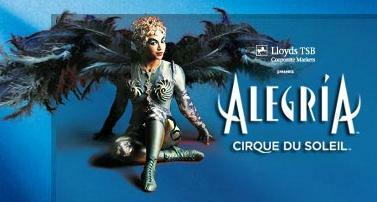 I caught the Cirque de Soleil show … Alegria – courtesy of my friend Cathy (private box front and center – you rock Cathy!). Second show I've seen this year (last one was Ovo in San Francisco) – was totally great. I came away with such an alignment high watching the awesomely 'in the vortex' talent (and listening to little children giggle at the goofy clowns). Talk about focus, dedication, talent and practice, practice, practice. And, the expansive minds and 'can do' attitudes that these performers and business people have (the worldwide phenomenon of Cirque de Soleil originated in Canada with Quebec street performers – mega success creatively and business-wise ... who says that the two don't mesh!?). If you've been reading this e-Zine for a while --- you know that I totally believe in the ability of business to be both creative and lucrative. And fun, effective and satisfying for client/consumer and practitioner alike. Cirque certainly demonstrates that in spades. How many of you (like Guy Laliberte, founder of Cirque de Soleil) have a creative dream inside that is just itchin' to be birthed and nurtured? This week's article is 'Tips to Accelerate Your Biz and Life' – to inspire more of us to develop our interests and live life to the fullest! Statistically over 87% of your facilitation, coaching, training and consulting clients are visual thinkers – learn powerful visual skills to boost the effectiveness (and fun!) of your process work with groups and individuals. This 9-week online or 3 day in-person professional skills training thoroughly covers custom chart work, graphic recording, graphic facilitation and graphic coaching (the four main applications of working visually with groups and individuals) so you can add these powerful tools to your own consulting, facilitation, coaching and training offerings. Reserve Your Seat Now Just 10 spots left in each class! Plus 2 In-person Retreats (Nov. 19-20 Redondo Beach with THEO and May 6-7 Victoria, BC) … advanced students get special early registration opportunity! Very excited about this new elite coaching program. This 9-month mastermind is for solo practices and small businesses at or desiring the 50-300K range. Take a quantum leap in your biz and life development, not to mention your bottom line! Biz building instruction coupled with deep inner alignment work (the unique one-two combo that has resulted in my own success). Accelerate your Biz and Life to YOUR next heights! (special invites have been sent to all advanced students for today's info/admissions webinar– program opens to general public next week – so stay tuned). FEATURE ARTICLE: TIPS TO ACCELERATE YOUR BIZ AND LIFE, NOW! There often comes a time in life … sometimes several times, when we feel the need to get serious and 'put the pedal to the metal' so to speak --- on accelerating some or several aspects of our life. As The SHIFT-IT Coach, people in this stage are usually my best clients. They are ready to make a SHIFT and are determined to make it a successful one. And they know that getting good, quality instruction and support will make their SHIFT quicker and more efficient. And softer and sweeter by having the company of inspiring others by their side. You'll know it's the right time to accelerate your SHIFT by how you feel. You'll have a sense of urgency or pressure (that can feel pleasant or uncomfortable, even itchy) … signs of a quickening. You may have accomplished one phase of your life and are ready for the next. You may feel a push to 'do what you are suppose to do' to live a more aligned and integrated life. You may feel really attracted to a mission or cause and want to be a part of it – like you are a member of some sort of hidden brigade and your marching orders have been activated. And/or you may have external circumstances in your life that require you to move to your next level –and pronto! All are signs that its time to accelerate your SHIFT to Become Your Next Self. 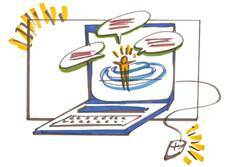 The call to action can occur on many personal and professional levels. You may feel called to change the parameters of your personal life --- from who you share your life with, to where you reside, to how you spend your time, to the attitude and feelings you generally walk around with. Acceleration could also involve a change, boost or re-arranging of your profession. From improving or changing a job or field of employment. To making the leap to the 'free agent nation' through self-employment or the creation of a business. To making changes to your existing business (think Oprah about a decade ago when she courageously backed away from high drama toxic television to be more holistic … even causing an uproar with her use of the word 'spirit' on daytime networks). I'm of the belief that this acceleration in the need and desire to SHIFT is part of a larger unfolding that is currently happening on our planet. A SHIFT to more authenticity, higher and purer energies is impacting our individual and collective systems and some (many!) are being called to sort themselves out at this time. I think, if we listen, each of us holds a piece of a puzzle – that if we follow it, plays out well for ourselves and for the world at large. Our individual unfolding helps the unfolding of the larger, macro process – as above so below. One big History Map unfolding and emerging onto the canvass or scroll of advancing life (ok, my Interactive-Graphics mentees are probably the only ones who are going to groove that metaphysical metaphor!). You can accelerate your SHIFT on your own in isolation – particularly if you are a do-it-yourselfer and very driven kind of person. However its been my experience (both as an entrepreneur going through her own personal SHIFTS and a coach who assists others to go through theirs) that enlisting good support adds rocket boosters to your acceleration --- and makes the process a heck of a lot more efficient, enjoyable and social to boot! Spanned by a desire to help my new Certified SHIFT-IT Coaches® build thriving practices … I've created a new 9-month Elite Mastermind program called The Biz and Life Accelerator. This program does exactly what I've written about in this article --- supports you to accelerate your SHIFT via tailored outer and inner work – no matter what your practice or business is about. Today, in a few hours, my previous students (who have been in other programs with me) are participating in an info and application webinar for this new program. Next week this program will be released to the general public, including mentions on the national radio show Ask Theo Live. Sheila and Marcus Gillette and The Teachings of THEO take a prominent place at our first in-person retreat in Redondo Beach, California on Nov. 19 and 20th. If what I have written about in this article is striking a chord with you – be on the lookout for correspondence from me about this exciting new program. I'll send a broadcast about it next week (if there is still room left in the 20 placements) and provide a blurb and link in the next e-Zine.